Wow. 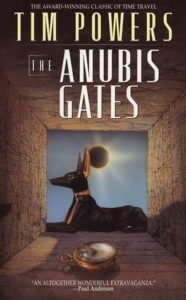 Where do I even start with The Anubis Gates by Tim Powers? What a strange book. You’ve got time travel, sorcery, body switching werewolves, gypsies, beggars, insane clowns, dopplegangers, and Egyptian gods all rolled up into one fast-paced and chaotic story. And then there’s the hapless protagonist, Brendan Doyle. He’s probably the most helpless and pathetic main character that I’ve encountered since Arthur Dent. Unfortunately, I didn’t find him quite as lovable as Hitchhiker’s Guide’s unlucky protagonist. I will give Doyle some credit though; he did manage to grow as a character over the course of the novel and became considerably more likable and respectable by the conclusion. 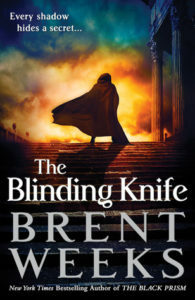 Overall, I enjoyed The Anubis Gates, but, even though it was very fast-paced, it didn’t leave my dying to continue to reading. I’m giving it 3 out of 5 stars. 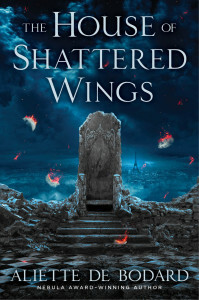 I won a copy of Aliette de Bodard’s The House of Shattered Wings from Tor.com last year and I had intended to read it before submitting my Hugo nominations at the end of March, but, after reading about a quarter of the novel, I decided to set it aside. This is something that I do very rarely, because I like to finish things that I start, but also because I’m pretty good at picking out books that I like. Unfortunately, I just couldn’t get into this book and I was not making very much progress so I decided it would be a better use of my time to move onto something else. I almost gave up after about 50 pages and then decided to stick with it, but then ended up giving up a little later anyways. Perhaps the biggest problem for me was that, while the setting was very cool, the characters were not. 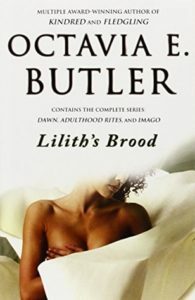 The protagonist was the most apathetic character I think I’ve even come across and it’s really pretty hard to get into a book about a character that doesn’t really care about anything. I mean, if the characters don’t even care, why should I? 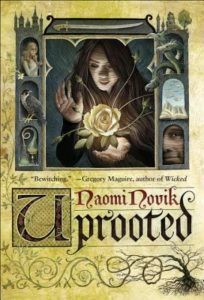 I think the author probably came up the setting first and really fell in love with it and then tried to find a story and characters to fit with it, but the latter part just didn’t work out. But even though the setting was really neat–basically a post apocalyptic Paris run by fallen angels–it wasn’t really well defined and that really bugged me too. I was really impressed with de Bodard’s power of description, but it was really hard to get a feel for what actually happened to cause this current state of things. They were too many subtle hints and not enough storytelling. And maybe that was another problem. 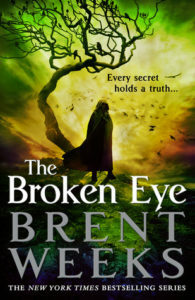 The hints implied that a very bloody war had taken place, which might have made a more successful setting than the aftermath where, strangely, no one seemed all that interested in putting things back together. I mean, isn’t rebuilding what you usually do after a disaster? Just a quick note. 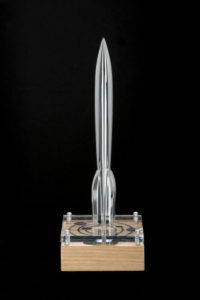 Nominations for the Hugo Awards opened today. I plan to buy a supporting membership soon so I can participate. 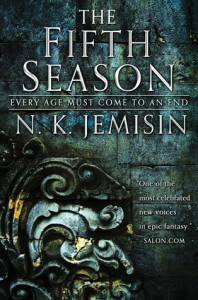 Nominations are open until March 31 so I’ll probably hold off until I’ve had a chance to read a couple more novels that I’ve got in the queue (Golden Son by Pierce Brown and The House of Shattered Wings by Aliette de Bodard), but I may also try to sneak in a couple of novellas so that I’ve got something to contribute to that category (and because there are a few that I’m really excited to read).